These were my 2 Westies and Yorkie. 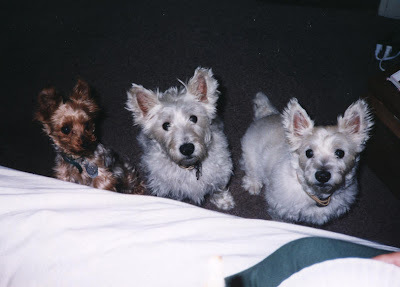 Murphy, Zuzu & Snowball (L to R). We miss them dearly. Hey Neale!! So am I! We ALWAYS have at least one dog! No other creature will love you so unconditionally!